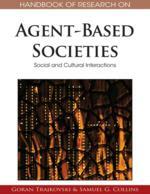 This chapter is focused on social reputation as a fundamental mechanism in the diffusion and possibly evolution of socially desirable behaviour (e.g., cooperation, altruism, and norm-abiding behaviour). Reputation is seen as both a property of agents and a process of transmission of beliefs about this property. The main current views and hypotheses about reputation are found to underestimate the importance of the process of transmission. Next, a cognitive analysis of reputation and of its transmission is presented. Hypotheses concerning the transmissibility of reputation are discussed, and checked by means of simulation. Finally, speculations concerning the role of reputation in the evolution of reciprocal altruism are discussed, and ideas for future studies are sketched out. This chapter will be focussed on the cognitive properties of reputation favouring its transmission. We propose a definition of reputation as socially transmitted (meta-) beliefs (i.e., beliefs about beliefs) concerning properties of agents, namely their attitudes towards some socially desirable behaviour, be it cooperation, reciprocity, or norm-compliance. Such a definition led us to put forward the hypothesis that reputation plays a crucial role in the evolution of these behaviours: reputation transmission allows socially desirable behaviour to emerge and persist even with low probability of repeated interaction. This role of reputation depends on the extent to which agents are likely to transmit it to one another. In this perspective, we are indebted to contributions from the memetic theory (for a definition of a meme, see Dawkins, 1976; Blackmore, 1999; for a recent collection of contributions on memes and memetics, see Aunger, 2000), especially in its current computational version (see Best and Edmonds, 2001). Indeed, the cognitive properties of reputation and in particular the reasons why reputation is harboured in the mind help predict its transmissibility (Dawkins, 1976). In turn, transmissibility of reputation bears important consequences for the role of reputation with regard to socially desirable behaviour. This suggestion is supported by findings from several computer simulation studies on norm-abiding behaviour conducted in the last years within our research group. More generally, as will be argued at the end of this chapter, the view of reputation presented here may contribute to the still debated (see the discussion in Nature: Roberts & Sherratt, 2002) problem of reciprocal altruism theory in settings with low probability of repeated interaction. The chapter is organised as follows. In the next subsection, we will situate the research on reputation in the broader context of the reciprocal interaction of culture and behaviour. Thereafter, the main current views and hypotheses about reputation will be presented and discussed, and found only partially consistent with current experience and observation. Next, our view of a cognitive model of reputation as a socially spreading meta-belief will be presented, and hypotheses about reputation transmissibility will be formulated. Findings from simulation studies about the role of reputation with regard to a special type of socially desirable behaviour, i.e. norm-compliance, will be shown to be consistent with the model provided before and confirm the emphasis laid on reputation transmission. In the following section, speculative hypotheses concerning the utility of the present approach for the theory of reciprocal altruism will be discussed at some length. Finally, a summary and ideas for future studies will be sketched out.